Best DEF Refractometer in 2019: Test DEF Easily! Older diesel engines were identified by foul smells, billowing smoke, and clatter. Modern technologies have cleaned up most of the annoying side-effects of this engine. The smell was taken care of by using low-sulfur fuel. 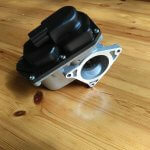 Diesel clatter, caused by the sudden ignition of fuel, has improved using better timing systems. Everyone remembers the black billowing smoke spewing out of big rig trucks. Modern diesel technology was forced to improve. In 2010, a sequence of mandates set by the EPA went into effect. Regulations required diesel engine makers to dramatically reduce the discharge of particulate matter (soot and ash) and toxic nitrogen oxide. 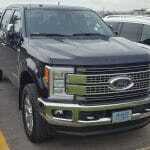 In a sweeping move, the EPA drastically increased emission requirements for diesel engines. Not only were diesel engine standards phased in by 2010, but also diesel fuel had new regulations. As an example, sulfur content for on-highway diesel fuel was lowered from 500 ppm to 15 ppm. Modern diesel engines burn a lean mixture of fuel. Meaning, less actual diesel fuel and more air added to the mix. 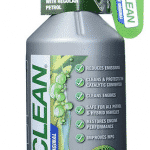 This mixture is outstanding for engine efficiency ratings, but not so good for the environment. The process leads to more nitrous oxide being produced. 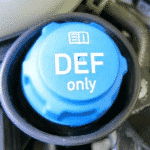 Enter DEF, “Diesel Exhaust Fluid.” You have seen the signs at dealerships or on the road and never realized what the stuff was. To meet the EPA standards, diesel engine makers have limited alternatives without DEF. Manufacturers have tried with no success (remember Volkswagen). DEF is a fluid made by the combination of urea and deionized water. Urea is an organic compound created by combining nitrogen, hydrogen, carbon, and oxygen. DEF breaks down the toxic nitrous oxide exhaust fumes. Ammonia and carbon dioxide gases are the bi-product of this chemical reaction. The two gases bond with the nitrous oxide and creates nitrogen and water which exit the tail pipe. What is a DEF Refractometer? 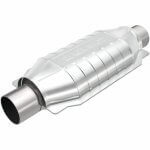 The process of introducing DEF into the nitrous oxide emissions is referred to as Selective Catalytic Reduction or SCR. 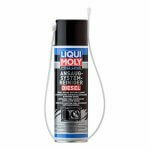 This advanced equipment is the technology of choice for most diesel engine builders. 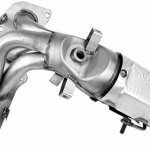 Advanced injection systems spray the interior of diesel exhaust pipes with the DEF solution, significantly improving emissions. Detroit Diesel, PACCAR, and Cummins have elected to incorporate SCR technology into their engine configurations. SCR equipped diesel engines require the operator to add DEF to their engines periodically. 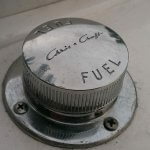 It is fundamental to the successful operation of SCR equipped engines; DEF must have an exact 32.5% urea and 67.5% deionized water concentration. Measuring the concentration is accomplished by a DEF Refractometer. Measurement of the UREA concentration in DEF material is straightforward. 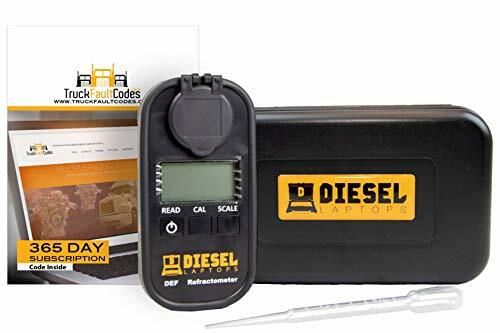 Most diesel operators, truck stops, and dealer service departments carry a DEF Refractometer kit. The portable Refractometer is a precise optical mechanism. Before testing DEF material, the refractometer must be zeroed with clean water at the same ambient temperature. This calibration should be made before every DEF test to make certain the results are conclusive. When placing the DEF on the prism, make sure the material spreads evenly across the entire prism surface. Use a soft cloth to clean the prism surface and never place the entire instrument into water. If the DEF solution has a higher or lower concentration, operators are advised to drain the DEF tank, flush with distilled water and refill. DEF companies deliver the solution in premixed bottles and containers for convenience. Veteran operators know the DEF concentration is correct by a visual and smell test. A drop of DEF is placed on the instrument’s prism. Light passes through the material and is refracted or bent. The more concentrated the DEF solution, the more the light will bend. The refractometer features a graduated scale of 15% to 40% in 0.5% increments. As light passes through the prism, a shadow appears on the scale. The concentration of DEF is established by the bottom edge of the shadow touching the scale. The bottom edge of the shadow must read 32.5% concentration. 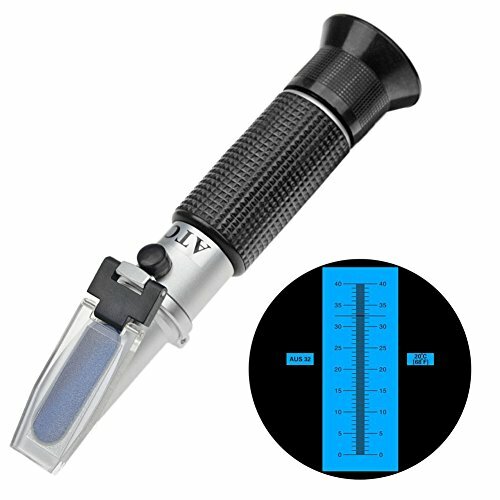 DEF refractometer’s range in price from a few dollars to a few hundred dollars. Some devices are all-in-one or measure just DEF concentrations. Amazon features a decent selection of DEF refractometers to compare qualities and value. This refractometer delivers quality instrumentation throughout a broad spectrum of scientific measurement. This DEF Refactor is at a price point that makes it affordable for everyone without sacrificing quality. This portable DEF Refractometer is durable and accurate, requiring only a few drops to give good readings. The instrument also features Automatic Temperature Compensation, a critical aspect in correct DEF refractometer readings. 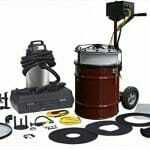 A good 12-month warranty with 24 hour support comes with this equipment. 2. 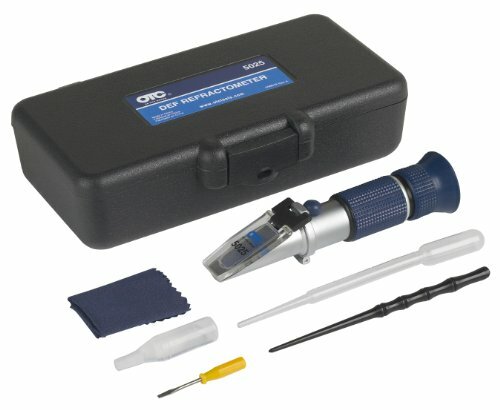 OTC 5025 DEF Refractometer. Owatonna Tool Company has been designing and building automotive test equipment since 1925. The company features a lengthy list of diagnostic and specialty tools. The OTC 5025 is a lightweight, compact unit with precision optics. The refractometer features a 0.5 percentage graduation increase. Precision scale from 15 to 40 percentage waterline and 20 degree Celsius. There are 49 reviews of this product, and 92% are positive. Reviewers report the tool reliable and accurate. Some minor parts are missing. The dropper needs an extension for dropping in the tank to get a reading. 3. Digital DEF Refractometer by Digital Laptops. This digital refractometer is accurate and quick to produce results. Place the DEF on the testing pad, within two seconds you have the results. Testing can be performed numerous times with no deterioration in results. The Digital Laptops Refractometer comes with a 12-month warranty. The price covers a subscription to TruckFaultCodes.com. 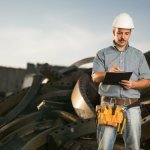 This service is the most extensive archive of commercial fault codes in the industry. Find your fault code in their database and read results for clearing the code. The site includes a convenient mobile app. 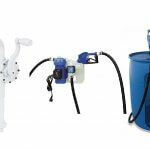 Price may be out of reach for owner/operators, but suitable for dealers and truck stops. The DEF refractometer has been an enormous boost to anybody associated with diesel engine technology. The instrument forces shady dealers and service writers to stop overcharging for problems that do not exist. Diesel truck owners, individual operators, and mechanics should have a refractometer in their tool chest. A lot of issues happen with diesel engines; this tool will rule out any DEF problem. DEF and the SCR systems are a testament to American ingenuity. When the EPA regulated heavy-duty trucking emissions, naysayers predicted the collapse of the industry with an end to diesel engines. Trucks and diesel engines move nearly 81% of the freight in the United States. Thanks to DEF and the DEF Refractometer technologies, modern diesel engines are cleaner and more energy dynamic.